WOW! 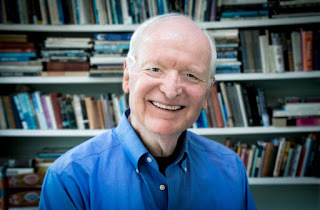 Women On Writing Blog: Larry Kilham Launches the Book Blog Tour for "The Digital Rabbit Hole"
Larry Kilham Launches the Book Blog Tour for "The Digital Rabbit Hole"
The Digital Rabbit Hole is available in ebook and in print at Amazon, Barnes & Noble, and IndieBound. To win a copy of The Digital Rabbit Hole, please enter using the Rafflecopter form at the bottom of this post. The giveaway contest closes Sunday, July 16th at 11:59 PM EST. We will announce the winner the next day in the Rafflecopter widget. Good luck! WOW: I must say after reading your bio and seeing all your published works, I'm feeling a little shy right now Larry. Thank you for taking the time to sit and chat with me. I'm truly humbled at this experience. And thanks for choosing WOW for your book blog tour! This is such an honor. You are so successful in other areas of your life, what drew you to writing and pushed you to publish? Larry: I won a writing award in high school and was features editor of my college newspaper. People always liked my writing. I wanted to write full-time when I had earned enough so that I didn’t have to depend on writing for my income. For me, publishing is the satisfaction of sharing my ideas and seeing how they are accepted. WOW: That's such an interesting spin on publishing. Congratulations on your many publishing successes! You have many published works and they vary greatly - this leaves me asking "is there anything this man can't do?" but that's not my question. Have you found it difficult to position yourself as an expert in so many areas? What is the key to staying on top of your game when you are involved in so many games if you will? Larry: I am not writing about as many areas as it may seem. I am constantly examining man, technology, and truth as seen through enterprise and travel. I read a lot of current news with an emphasis on science developments, and I carry on interesting dialogues with many scientists, engineers, and mathematicians. WOW: You are no doubt a busy man. What's next for you? Larry: I am retired, enjoying the autumn of life. Through writing, I am trying to consolidate my key ideas about the human condition and destiny. I’m actually getting rid of many books rather than accumulating them. This is all part of the boiling down to the essence. This is not giving up. I think of it as starting fresh. WOW: It sounds absolutely lovely when you look at it as boiling down to the essence. Enjoy your time! Who has been the greatest influence in your career as an author and otherwise? Larry: My mother. She read to me from great authors when I was little. She encouraged me to travel, invent, and savor life rather than just make a living. She said write about it. WOW: I hope you'll write more about your mother in a future book; she sounds very wise! I know you also credit reading as being an important tool for writers. Who is your favorite author and why? Larry: I don’t have any single favorite author. I like writers who speak of the human experience with a poetic sense. They include Homer, William Shakespeare, Lewis Caroll, Gabriel García Márquez, and T.S. Eliot. If I was cloistered with just the works of one, I would pick Shakespeare. WOW: What advice would your current self give if there was an opportunity to have a casual coffee chat with your 15 year old self? Larry: Don’t worry about what people think of your plans. Follow your inner voice. Learn a lot of both science and humanities, and travel extensively for the broadest experience and refreshing adventure. WOW: Well thank you ever so much for your time. It has been a pleasure getting to know more about you and I've greatly enjoyed The Digital Rabbit Hole for myself! We look forward to hearing more from you along this tour. Cheryl Masciarelli spotlights Larry Kilham's The Digital Rabbit Hole. Don't miss this opportunity to learn more about Kilham and his many published works. 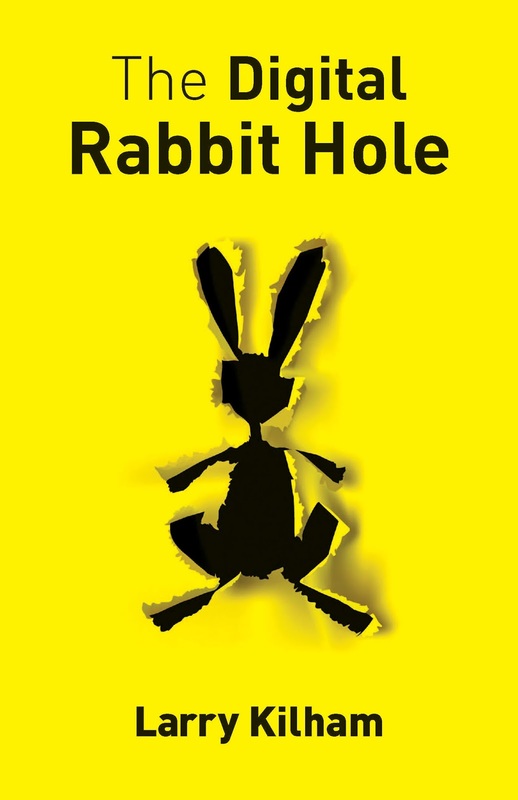 Educator, Business Owner, and Mother Cathy Hansen reads and reviews The Digital Rabbit Hole by Larry Kilham. Read her thoughts today! Author and Psychotherapist/Addictions Counselor Linda Appleman Shapiro shares her thoughts and insight after reading and reviewing The Digital Rabbit Hole by Larry Kilham. Avid reader and reviewer (and social media lover) Crystal J. Casavant-Otto reads and reviews Larry Kilham's The Digital Rabbit Hole and shares her thoughts about how social media has changed our lives. Writer, Reader, and Book Enthusiast Beverley A Baird reviews Larry Kilham's The Digital Rabbit Hole and shares her experiences with her readers. Midwestern father and avid reader Troy Pflum reads and reviews Larry Kilham's The Digital Rabbit Hole and shares his ideas and afterthoughts with readers at Bring on Lemons. Fellow author David Berner reads and reviews Larry Kilham's The Digital Rabbit Hole. Reader and book enthusiast Tange Dudt reviews Larry Kilham’s The Digital Rabbit Hole and shares her thoughts with readers at Book Santa Fe. Fellow author Eric Trant shares his thoughts after reading and reviewing The Digital Rabbit Hole by Larry Kilham. Today's author spotlight at Hott Books is none other than Larry Kilham. Find out more about this accomplished author and The Digital Rabbit Hole. Lisa Haselton interviews Larry Kilham about The Digital Rabbit Hole. Tess Fallier is today's guest blogger with a review and insight into Larry Kilham's The Digital Rabbit Hole. Don't miss this blog stop! Angela Mackintosh reviews Larry Kilham's The Digital Rabbit Hole. Enter to win a copy of The Digital Rabbit Hole by Larry Kilham! Just fill out the Rafflecopter form below. We will announce the winner in the Rafflecopter widget on Sunday, July 16th! This is such a great book - and one most of us can use since we spend so much time online in today's day and age! Thanks, Crystal! It's been fun both writing the book and gratifying to read the great reviews. I look forward to seeing your readers' comments. Such a timely topic for a book! I'm often struck by the fact that people are sitting/walking around looking at their phones instead of interacting in person with those around them. Did you ever notice that the homeless are often buried in their smartphones? I'm looking forward to reviewing your book, Larry! We had a power outage in all of the San Fernando Valley and most of Los Angeles on Saturday--there was an explosion at LADWP's power plant--and my cell phone died and I couldn't charge it. So, as I was sitting in bed in 100 degree heat without any lights, just candles, I remembered my Kindle was fully charged. So I picked it up and cracked open your book! I couldn't think of a better book to read considering the circumstances. I'm a bit of a cell phone addict; heck, all technology addict... phones, computer, tv... air conditioning... you forget how reliant we are on these things until they are gone. Anyway, your book is fascinating so far! Look for my review on August 9th here on The Muffin and I'll also be posting on Amazon. Good luck on your tour! What a story! You couldn't make it up. When the apocalypse comes, we'll have our solar charger and smartphone. Not much more.